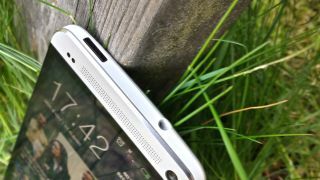 HTC has confirmed the Android 4.3 Jelly Bean update will begin rolling out to UK HTC One handsets in 3-5 weeks, which is likely to be around the time users begin clamouring for Android 4.4 KitKat. The company made the estimate on its official UK Twitter account, responding to a question from a HTC One owner eager to update his phone to the current version of the Google-based operating system. "We are expecting to release #JellyBean 4.3 update in the UK in 3–5 weeks," the firm tweeted on Monday. That would put the launch in mid-November at the earliest, by which time Google are highly likely to have spun out the next major version of its sweet-themed mobile software. According to reports, when the update does arrive, it'll bring with it HTC Sense 5.5 rather than v5.0 of the UI which arrived alongside the US Android 4.3 update. One owners will be hopeful that the update will also cure an issue with the HTC One's Ultrapixel camera that causes photos to be tinted with red, purple or blue, when shot in low-light conditions. Still not sure what Android 4.3 brought to the table? Here's what changed within the Jelly Bean jump.